Malaysian coffee bun chain PappaRoti has announced the addition of one seriously sweet item to their menu, coming June 1. 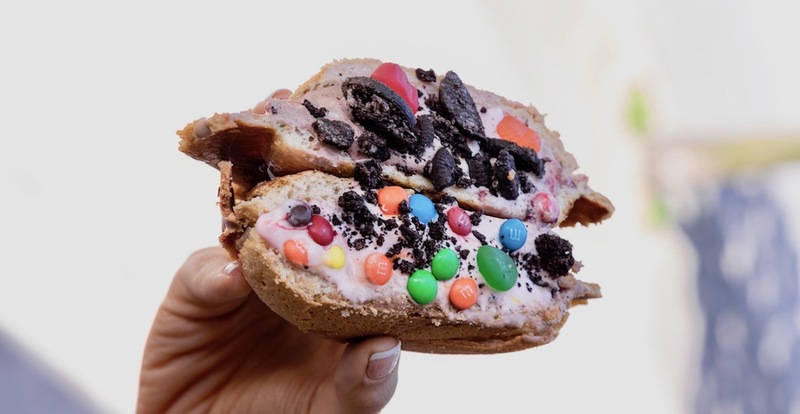 Behold, the Coffee Bun Ice Cream Sandwich, a combo of this spot’s signature crispy-on-the-outside-warm-on-the-inside bun stuffed with ice cream varieties such as matcha, black sesame, and Italian lemon pastry to name a few. To take things to the next level you can opt to add toppings like Smarties, Oreos, and candy for $1 more. You can also dip it in Nutella, which is probably a good idea. You can try these new $7 offerings at their three BC locations come June 1.